West coast paddlers flat water symposium. just behind but I put my camera away before they set up.If I had had the time I would have loved to try some of the huge collection of kayaks in this amazing demo fleet. However, I was taking the two kayak paddle sailing sessions and so I had to pass by. Richard Cree the organiser talks to one of the coaches Roland Woolven prior to the morning briefing. There were over 120 people signed up for the various sessions. 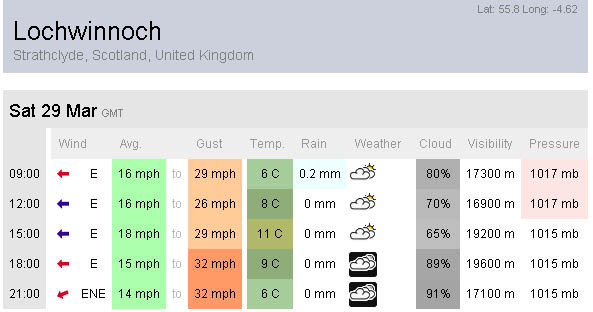 I doubt whether Lochwinnoch has ever seen anything like it before! 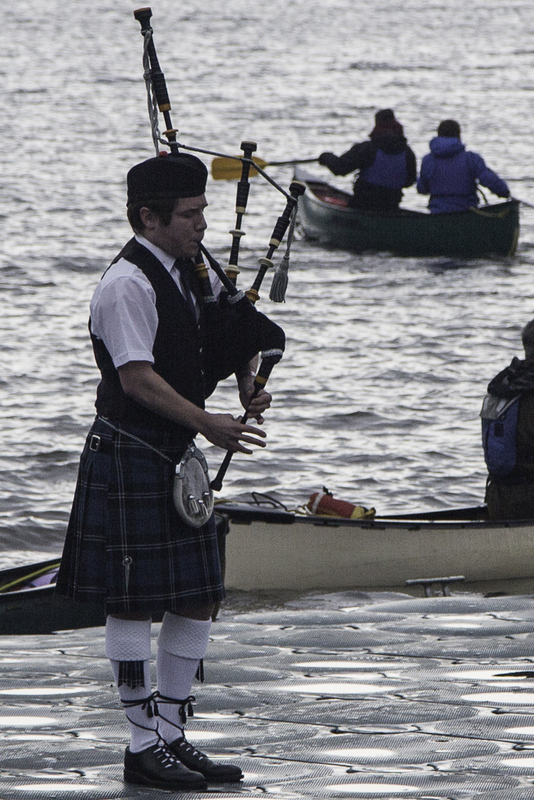 We even had a piper playing to see us off! 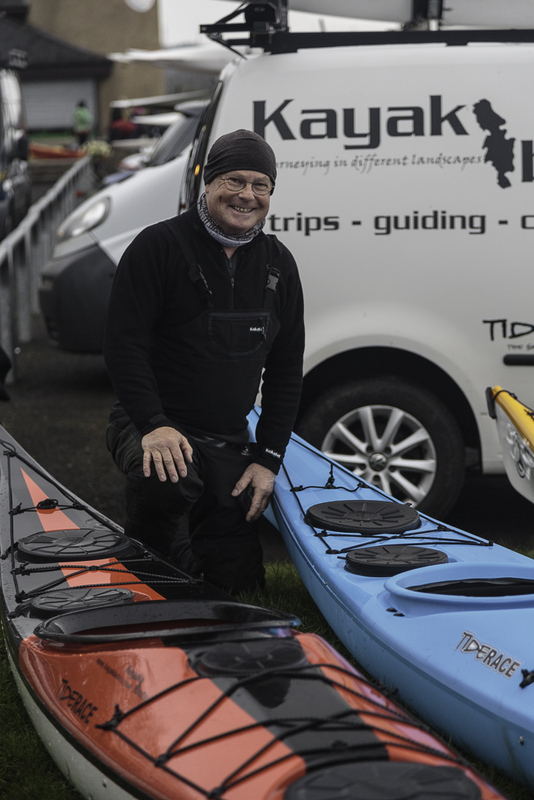 I only took a few shots at the beginning of the session as I was soon paddling backwards and forwards helping people get going. 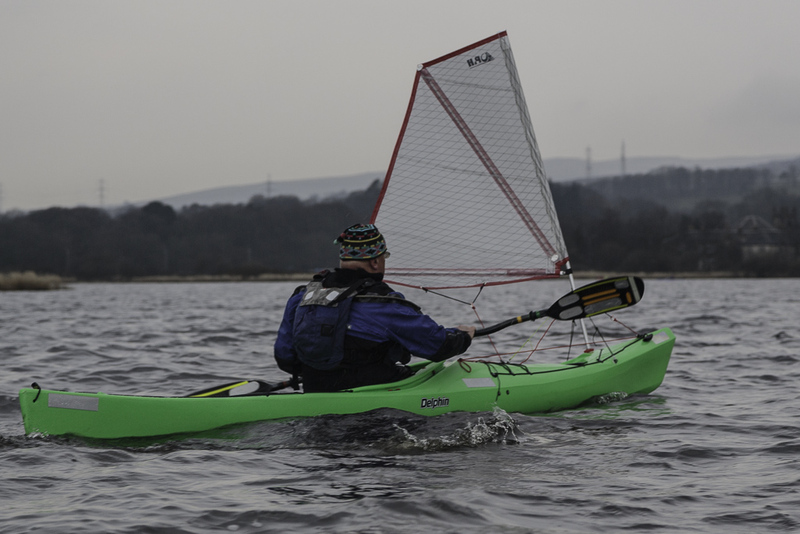 One of the morning participants, Dave Marquis, had his first experience of paddle sailing. Dave and I first sailed together in his Firefly dinghy in 1971! It seemed just like yesterday and it was really good to catch up. 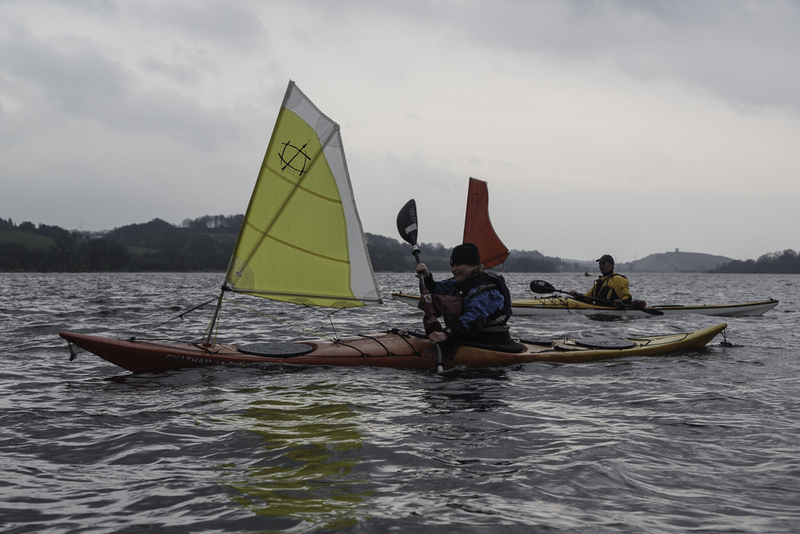 Both the paddle sailing sessions were fully booked so it was hard but enjoyable work and I was ably assisted by my regular paddling buddies (David and Phil) and Iain from Westcoast Paddlers. In the morning session everyone managed to sail on run, reach and beat and there were no capsizes. The wind got up in the afternoon (no photos) to the extent that the local windsurfers were planing on short boards and this made things more challenging for the tyro paddle sailors. 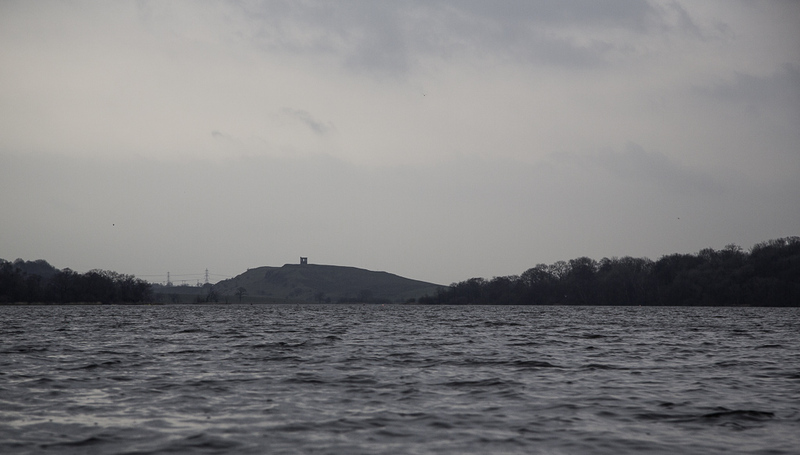 Everyone got some great runs but the wind began to increase and there were two capsizes. 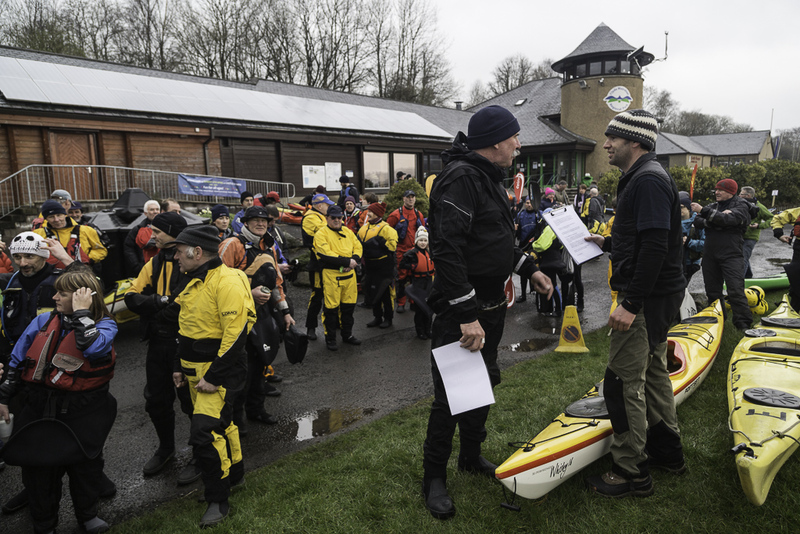 However, such was the keenness to continue that in the afternoon (as in the morning) the paddle sailors were the last group to leave the water. Well done everyone. 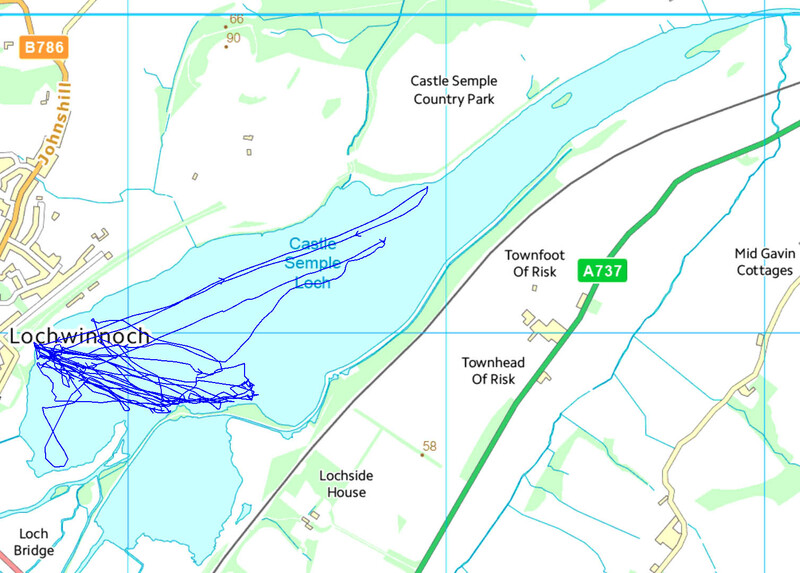 I was amazed to discover I had paddled almost 19km in such a small loch! 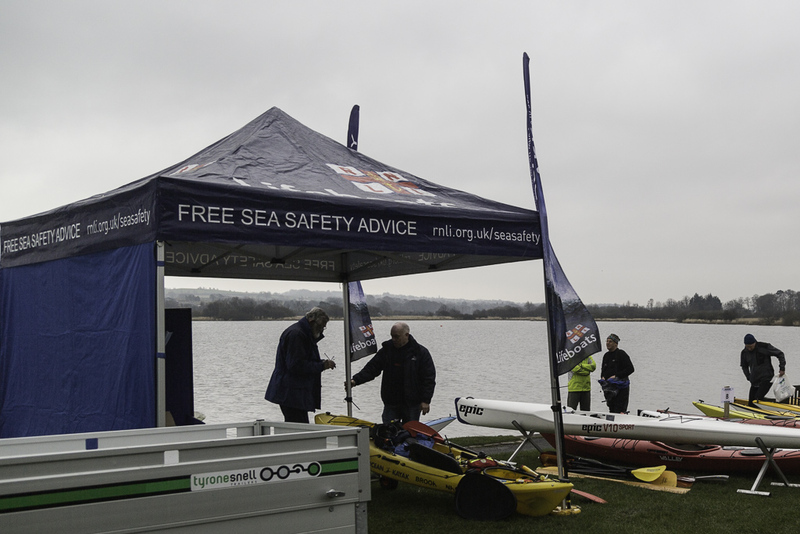 It is a great testament to the P&H Delphin the Flat Earth sail (P&H branded) and the Karitek gear that novice paddle sailors (most had done no sailing of any sort before) had such success with paddle sailing in the challenging conditions. 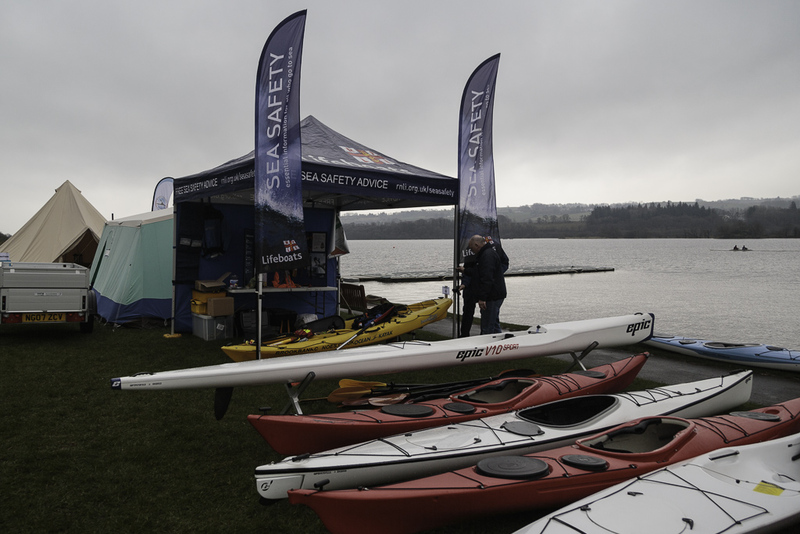 A great deal of thanks must go to Richard Cree and his team from Westcoast Paddlers for all their hard work in organising the Flatwater Symposium. As I was packing up I could not help but notice the many happy faces of people ranging from their teens to their eighth decade.Clearly a flatwater symposium has fulfilled an unmet need.I would not have dreamt of taking novice groups of 8 and 9 people on the open sea in the wind we experienced. The coaches were very well looked after in the club's bell tent with woodburning stove and I particularly enjoyed the expertly cooked beef burgers with all the trimmings at the evening barbeque. A collection was made for the RNLI at the barbeque. 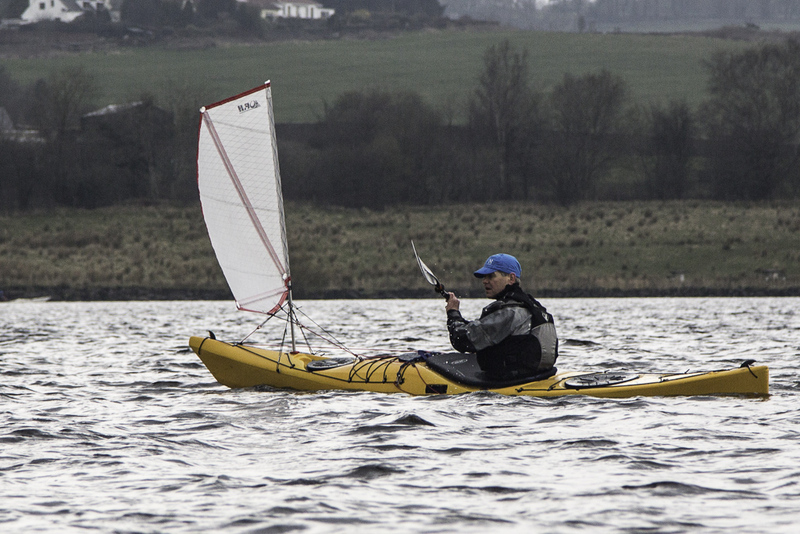 Tomorrow's sessions include Lochwinnoch, the Little Cumbrae and the Great Cumbrae.